Simon & Schuster Books for Young Readers, 9781481420211, 208pp. Ella dreams of going to the royal ball and marrying Prince Charming, just like every commoner in the kingdom of Fridesia. But after she is chosen to marry the prince—no magic involved—life with the royal family is not the happily ever after that Ella imagined. Pitiless and cold, the royals try to mold her into their vision of a princess. Ella’s life becomes a meaningless schedule of protocol, which she fears she will never grasp. And Prince Charming’s beautiful face hides a vacant soul. 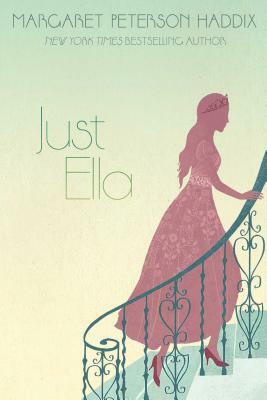 Even as her life turns to misery, stories persist that Ella’s fairy godmother sent her to the ball: How else could the poor girl wear a beautiful gown, arrive in a coach, and dance in those glass slippers? But Ella got herself into the castle on her own—and that’s the only way she’s going to get out. "Haddix puts a feminist spin on the Cinderella story, beginning her tongue-in-cheek novel where the traditional story ends." "Imaginative...reminiscent of Gail Levine's Ella Enchanted."